An introduction to the advantages of retiring in Costa Rica. Many foreigners and foreign companies have found Costa Rica to be one of the best places to retire, to live and work, and to do business. Democracy and politic stability. Costa Rica has a long history of stable, democratic government. During the troubles of the Cold War, many international organizations found Costa Rica to be a safe base of operations for their aid efforts in Latin America. Geographic location Costa Rica is only 3 hours flying from many places in the southern U.S. Many non-stop flights are available to South America and Europe from Costa Rica. 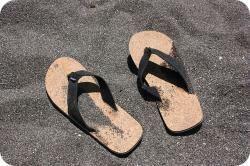 This makes travel to Costa Rica easy for those who work and retire in Costa Rica. Qualified & Bilingual Personnel Costa Ricans place a very high value on education. There are many qualified professionals and technical personnel. Many young professionals have received a bilingual education from grade school and through high school in English, German or French. 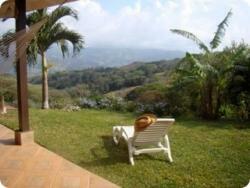 If you retire here, you will find many English speaking Costa Ricans to help you in many common situations. Excellent communications Widely available telephones, fax, Internet. Low profile tax haven Costa Rica is not a famous tax haven because the other benefits overshadow its favorable fiscal policies. Costa Rican legislation has all the requirements for being not only a tax haven, but also a international financial center, including: Bank Secrecy (except in case of money laundering and international terrorism, professional secrecy, no exchange controls for handling of foreign currency, foreigners have the same rights as Costa Ricans, honest and independent judicial system, complete anonymity on real estate through stock of a Costa Rican company. Over the years, we have guided hundreds of retirees in their relocation to Costa Rica. Do due diligence before you arrive. The internet makes it a lot easier nowadays. Our GoDutch Realty website is full of info about living and retiring in Costa Rica and Costa Rica real estate. Make a trip of a couple of weeks and get to know the country, the people, the culture and the language. Rent a car and stay in different locations during this trip. Absorb as much as you can. Concentrate on finding the right location for you, with the right amenities. Costa Rica offers so many different areas and micro-climates to live with different temperatures, rainfall, city, mountain, beach, but are they all for you? What are you expecting of your retirement? Try to pinpoint as well as you can what your needs are through email with the realtors who answer your emails fast and punctually. Email is an incredible tool to make life so much easier once you arrive here. Many Re-Location tours are offered over the internet. Most don’t have a clue what they’re doing. Most are retirees like you and think that after living here for a year they know the right way and make some money on the side. The internet also offers many groups, forums and on-line newspapers for you to see who is good at this service and who is not. Look for a realtor who has offices in different locations, or belongs to a network of realtors, so you can be guided through the process of finding the right location for you. Of course it is great to live at the beach. But if you don’t surf every day, you’ll become an alcoholic from sheer boredom. Did you have a stroke recently and need to be close to a hospital? The beach is not the place to be. Are you looking for wining and dining? But do you hate getting stuck in traffic? Your realtor should be able to point you in the right direction on where to live in Costa Rica. Once you have located the area you’d like to live, you’re realtor should be able to find you the right property. We have no Multiple listing system here, so make sure you work with a realtor who works easily with other realtors in that area. Do Not contact 20 different realtors to look at property. If a realtor shows you he/she is knowledgeable and is willing to go with you all the way till the end, stick with this realtor. You’ll be treated better and your realtor will do all he/she can to find your home in Costa Rica at the right price. Touring properties with different realtors might find you the right property, but each realtor will go the easy way, just show what readily available. Make an informed choice of attorney for purchasing Costa Rica real estate as well as for your residency permits. Bring some cash with you, it might be necessary to take a property off the market with a couple of thousand dollars. US checks will take 3 – 4 weeks to clear, so are no good for that. Also ask your realtor how you can open a bank account when you are here. That will make the whole relocation process much easier for you. Bring a lot of patience and an open mind. Nothing here is like it is back home. Everything works differently as this is another country, different people, a different language and a different culture. You are a guest here, so try to speak their language. NEVER shout at the locals, it will not get you anywhere. NEVER say: back home we do this and we do that. Back home is back home. If you’re not willing to adjust to their ways of doing things, stay back home. Once you understand that, it’s going to be a lot of fun to find that because it’s different than back home, it’s why you want to live here. We have found that most ex-pats who leave again after a couple of years cannot adjust to living here because the first year was too hard with too many difficulties. That’s the reason you want to use a GoDutch realtor, as 95% of our clients stay here. We help them through the difficult times. These are important things to think about when searching for Costa Rica properties or considering a Costa Rica investment or just plan to retire to Costa Rica.